Paulist Fr. Frank DeSiano is president of Paulist Evangelization Ministries. He also serves as director of formation for our seminary as well as superior of the Paulist Fathers who live in Washington, D.C.
Fr. Frank served as president of the Paulist Fathers from 1994 to 2002. A national leader in Catholic evangelization, Fr. Frank served as a consultor for the U.S. Conference of Catholic Bishops’ Committee on Evangelization for more than a dozen years. He frequently travels across the country to give presentations on evangelization topics at national, diocesan, and parish gatherings. 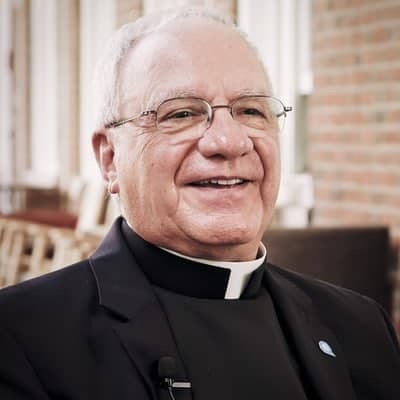 He has written numerous books on the Catholic faith focusing on evangelization and spirituality, including "New Perspectives," "Faith and Culture in Catholic Education," "Discovering My Experience of God," and "Reactivating Our Catholic Faith. " Fr. Frank is a native of the West Side of Manhattan in New York City where, as a boy, he was an altar server at our mother church, the Church of St. Paul the Apostle. To watch Fr. Frank present a variety of workshops and programs, visit this YouTube playlist. You also can follow him on Facebook or see images from his life and ministry at this Pinterest board.